Lara Romanow is a visual artist from Southwestern Ontario. She currently resides in Kitchener-Waterloo with her cat, dog, and husband (listed in order of authority). Her art is inspired by childhood memories, reflections on social norms and relationships. She spent a lot of time growing up in Woodstock, Ontario with her Russian grandparents, who told her many fantastical stories that lie somewhere between reality and childhood imagination. These stories and memories still resonate with her and influence her art to this day. Printmaking is a very old art form that was originally used for storytelling. This was a natural match for Lara as she uses illustrative techniques in the process of creating her original prints. 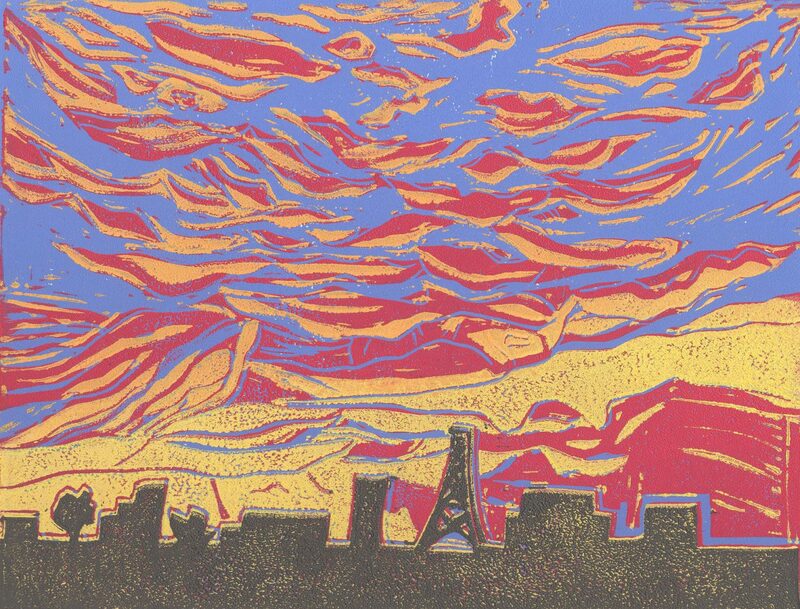 She uses linoleum blocks to carve images, which are then inked and paper is pressed on top by hand to create a print. She also etches into metal plates which then go through a similar process, only these go through a printing press. Printmaking is a very technical process and is subtractive, unlike painting which is an additive process.